My Baby Girl LOVES to be outside. She could spend all day every day outside, rain or shine. But sometimes we can’t spend time outside, especially when it is cold and storming. So if the rain has you stuck inside the house with your toddler, here are some fun ideas for you guys to try out. 1. Balloon Fun – Have a lesson with gravity. Learn about static, rub a balloon on a carpet till it sticks to the wall. Play keep the balloon in the air. Note- get rid of any broken balloons right away. 2. Flash Light Fun and Shadow Puppets. 3. Bake Some Cookies. Who doesn’t love warm chocolate chip cookies? 4. Bubble Bath. My kids all love bubble baths. Add in some extra cups and bowls, even throw in some glow sticks is safe for your child’s age. Note- Of course never leave your child alone in a bathtub. 5. Finger Paint. Kids LOVE to make a mess, might as well get some art work out of it. 6. Finger Paint Without The Mess. Put paint in ziplock bags, tape it flat to the table, and let them use their fingers to make designs on it. 7. Pipe Cleaners and a strainer. Lots of fun. No batteries – bonus. 8. Sensory Bottles. Make some sensory bottles with your little ones. Use noodles, beans, glitter, whatever you can find around the house that will fit inside. 9. Ball Pit. Have a playpen? Turn it into a ball pit! 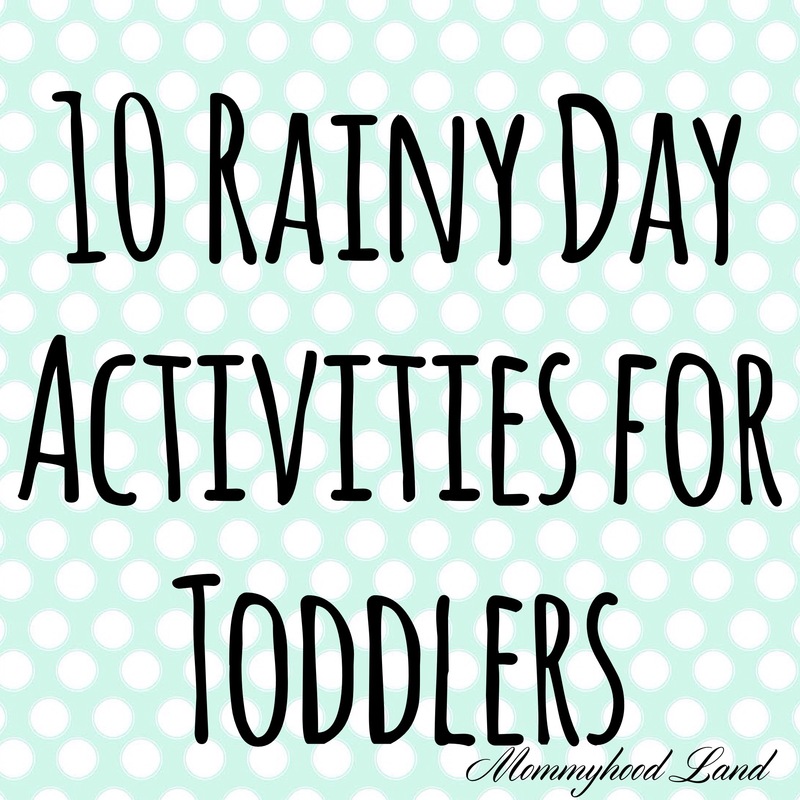 What are your favourite Rainy Day Activities for you and your toddlers? Would love to hear them! Interesting points. Love the idea of baking crispy cookies for the rains. Good Read! Thanks! These are just a few ideas that I have done over the years on rainy days with my kids. It can be hard to keep toddlers entertained! Try some of these the next time we get a rainy day.